Sea Walking, the most exciting thing to try, can be enjoyed thoroughly near the North Bay Island. One can board a ferry, reach the place for the walk on the ocean bed, and experience the beautiful marine life of Andaman. The activity is very easy and even the most inexperienced swimmers can enjoy it. Are you an adventure freak? So, why not try Scuba Diving in the lap of nature. Scuba Diving, best enjoyed in Neil, Havelock & Port Blair, lets you explore places that offers you with an amazing lifetime experience. Colorful fishes, rare & variety of coral reefs and mysterious sunken ships, you will be surrounded with all these. Andaman & Nicobar Islands, completely covered with dense rainforests, deep drop offs, mangroves, and the water bodies are inhabited by variety of fishes. The islands are perfect for saltwater angling thus, Sport Fishing can be best enjoyed in untouched reefs of Andaman. Come here and enjoy the Sport Fishing. 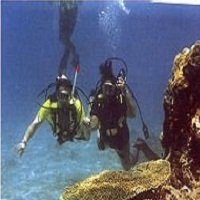 Discover variety of corals and aquatic life via activities like snorkeling and that too amidst the rich marine life of Andaman and Nicobar Islands. Snorkeling is definitely a lifetime experience to be cherished throughout life. 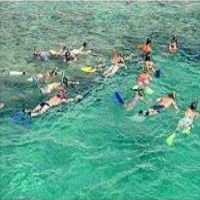 The best places to enjoy snorkeling in the islands are Andaman Water Sports Complex, Corbyn's Cove Tourism Complex, Mahatma Gandhi Marine National Park, Havelock etc. 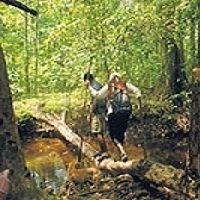 Andaman is majorly covered by forests, which are characterized by varied species of orchids, ferns and exotic flowers. The forests in Andaman are also home to wide variety of birds inclusive of parrots, hornbills, brahminy kites, sea eagles and herons. Whatâ��s better than trekking through the trails that reach the caves. Yes! Andaman offers you to experience the nature to its core. While striding on the 2 km long trail, the tourists can enjoy the sight of the mature trees and listen to the chirping of the birds.